Let’s admit it, who hasn’t bought pesto in the shops? I did so many times… I understand many people think it is a complicated sauce to make, but actually it is super easy and a lot nicer when made with fresh ingredients. Recently, I had the opportunity to grow my own basil in the garden and therefore I took advantage to finally try to make fresh pesto. The result was so light and tasty I don’t think those pots at the supermarket or at the local deli will ever tempt me again. When tackling Italian recipes, if I don’t have one stolen from mamma’s notebook, Giallo Zafferano is my absolute bible, they always get the right measurements and they don’t keep extra tips to themselves: so I followed their recipe, but instead of doing the pesto the old fashion way (with pestle and mortar), which would have taken me 20 minutes, I have used a hand blender, spending about ten minutes (if not less) to get my very own pot of pesto! 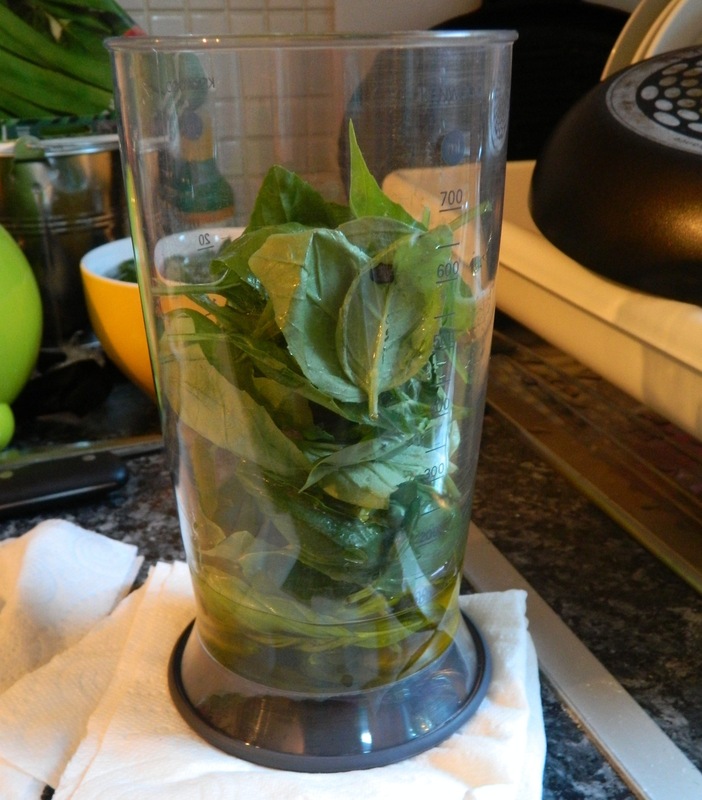 There is something I have done wrong for this recipe: I have actually washed the basil with a lot of water. This is very discouraged, as the basil oxidates. The less water you use to wash it, the better. After washing the basil, dry it very carefully with kitchen paper trying not to crease the leaves. 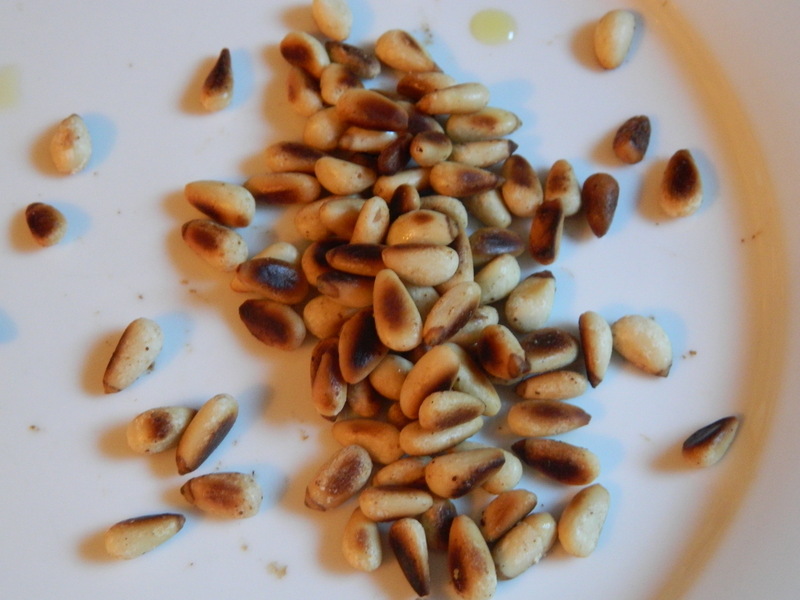 Toast the pine nuts in a hot pan and put them on a side ready to be used. 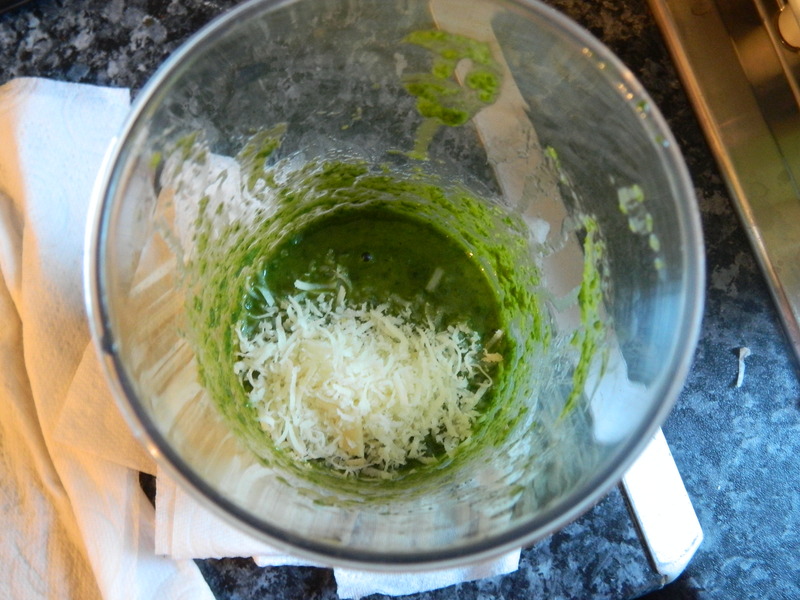 Put the garlic, the olive oil and the basil in a cup, and start blending it till you have a smooth bright green cream. 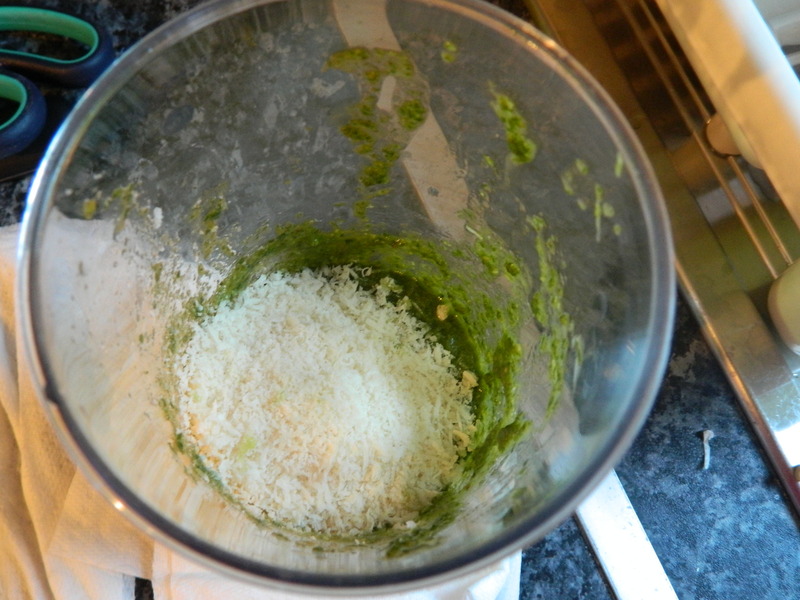 Then add the parmigiano cheese and mix it with the cream. Add the pine nuts and the pecorino, mix it a bit more and there you have it! 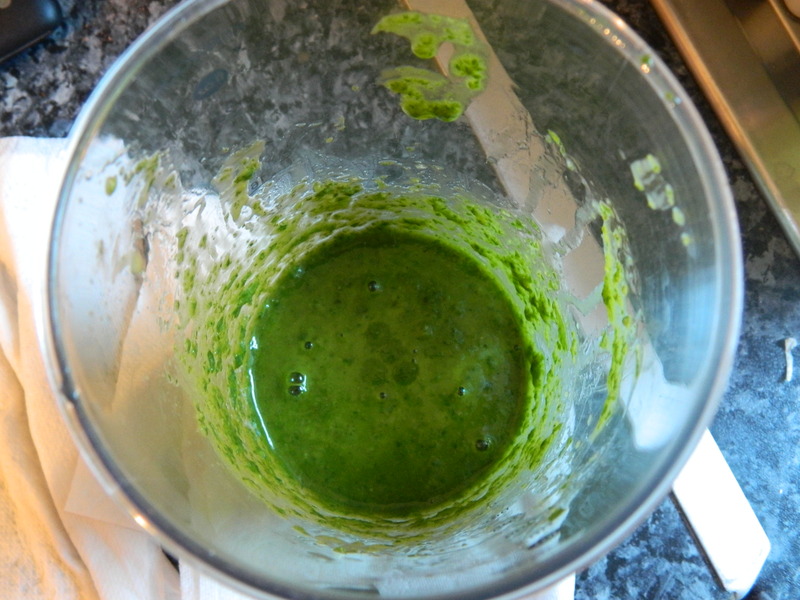 If you want you can mix in a very small amount of lemon juice to avoid oxidization. Put it in a pot or glass jar and pour a layer of extra virgin olive oil over the pesto to keep it at its best in the fridge. Your pesto is ready to be added to your favourite pasta shape or to enrich other dishes, such as our cod fillet recipe! If you try it let me know! there are so many versions of pesto that it becomes hard to say which is authentic and how authentic. 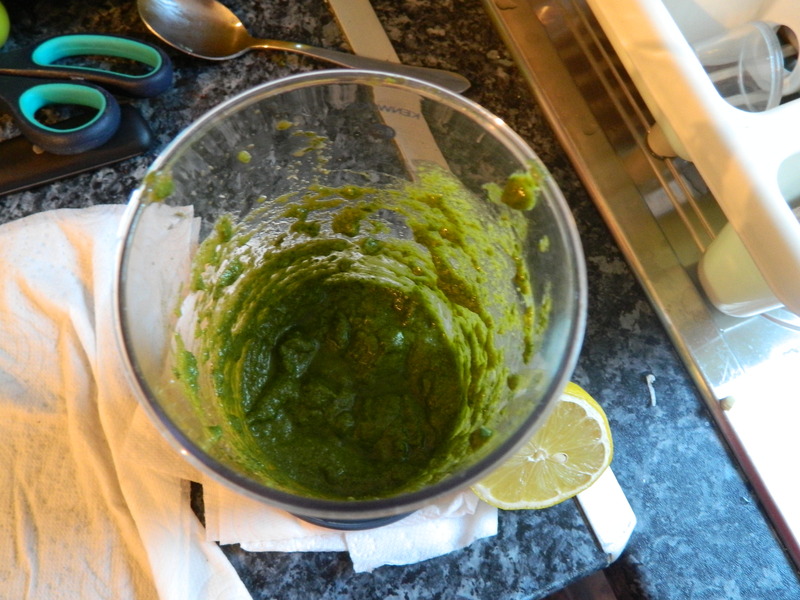 i myself make at least 3 types of pesto using 3 to 4 varieties of basil that gro in my garden ! 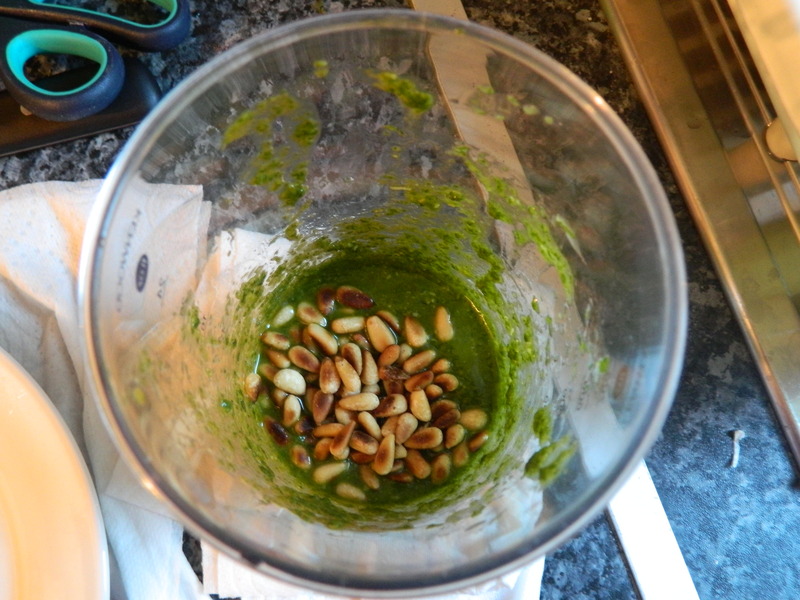 I am still trying to find my perfect pesto recipe. Love your version!